In this article, we will discuss the place of supply in cases of import/export along with numerous examples. As a basic principle, GST law says that all supplies of goods & services made as imports into India will be treated as an inter-state supply. All inter-state supplies attract IGST. So import of goods and services into India will attract IGST. Basic custom duty and all applicable customs levy will continue to be charged. 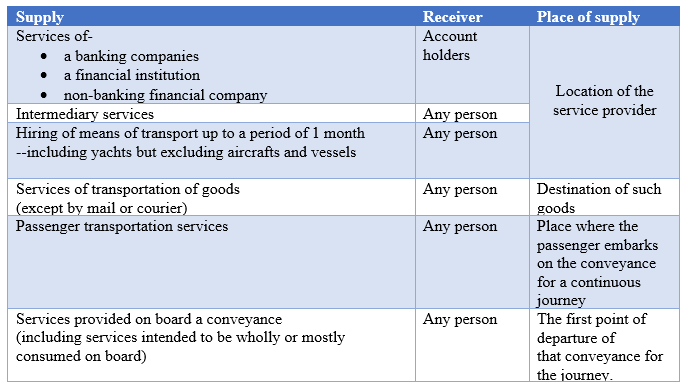 IGST on import of goods will be levied and collected under the Customs Act, 1962. 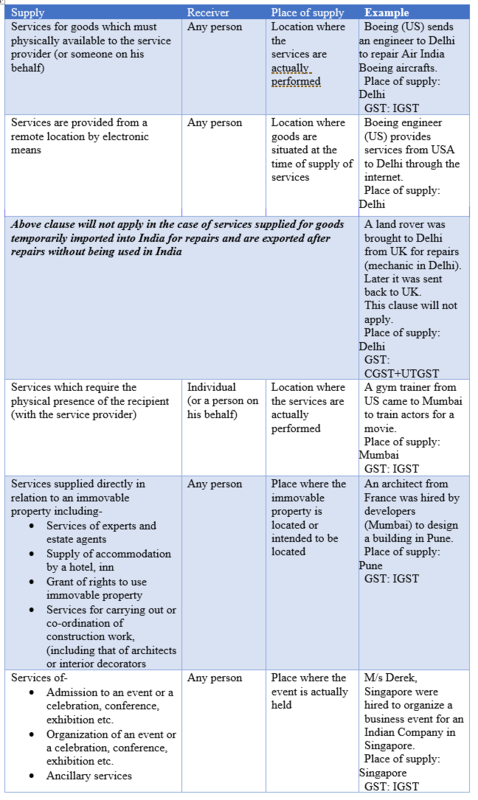 IGST on import of services will be covered under the IGST Act. Here the importer has to deposit IGST onreverse charge basis. Except in case of OIDAR (Online Information Data Access and Retrieval) services, the supplier has to seek registration and pay taxes. The IGST paid on imports will be available as input tax credit to the importer. This can be set off against the GST outgo on supplies made by the importer. Place of supply of any goods imported into India is the location of the importer. Therefore, if an importer is located in the state of Karnataka, the state’s share of IGST will go to Karnataka. Ms. Malini imports school bags from China for her shop (registered in Mumbai). Ms. Anita (Kolkata) exports Indian perfumes to UK. ***If the location of the recipient is not available then the place of supply shall be the location of the service provider. Remember, reverse charge applies on the import of services GST, i.e., the service recipient will pay GST. Please refer our article on GST impact on imports for more details. Note: For the above services, if any service is supplied at more than one location and even if one of them is a taxable territory then the place of supply will be the location in the taxable territory. For example, if a service is provided in Singapore and India then the place of supply will be India and GST will be applicable. If the above services are supplied in more than one State then all the states will be considered as the place of supplies. The states will share GST in proportion to the value of services. Remember: In case of import of services, you (the recipient) must pay GST under reverse charge. Example 1- Mr. Tom from London visits Mumbai and visits HSBC Mumbai branch. Example 2- British Airways flies passengers from Mumbai to New York via London. Mr. Ajay is travelling from Mumbai to New York. Please refer our article on place of supply of OIDAR. Supply of goods or services or both to a SEZ developer or SEZ unit will be treated as inter-state supply and IGST will be applicable.